Google probably has tons of projects in testing that we'll never hear about until they come out (assuming they do). One of these unannounced projects is an app called Spaces. 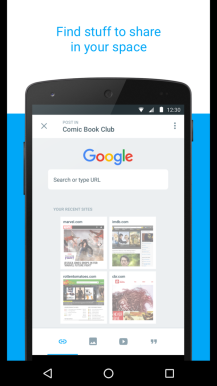 It's part of a non-public beta in the Play Store, but we've gotten a look at the app. 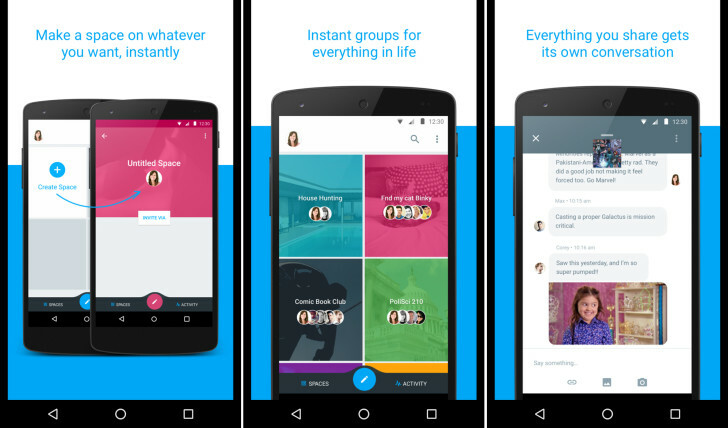 You can think of it as a group messaging app, but more focused. 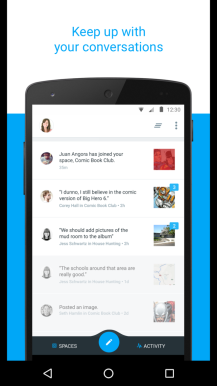 Spaces is supposed to be a tool for generating group conversations around specific topics. Spaces can be about anything—a photo, video, web link, social event, or just something random you want to talk about. You can add contacts to conversations and it works like a little social network. 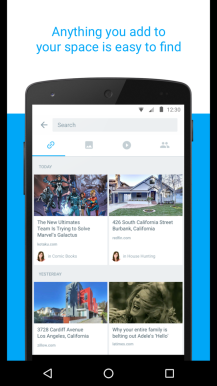 The app also makes it easy to find new content to add to your conversations. There's not much else to Spaces; it seems very simple and straightforward. Spaces is using an internal server right now, so the APK won't do you any good (sorry). The app is still in dogfood testing, so we can't say when (or if) it will be released, but it should be at this URL eventually.